Greater is saving more lives when every second counts. 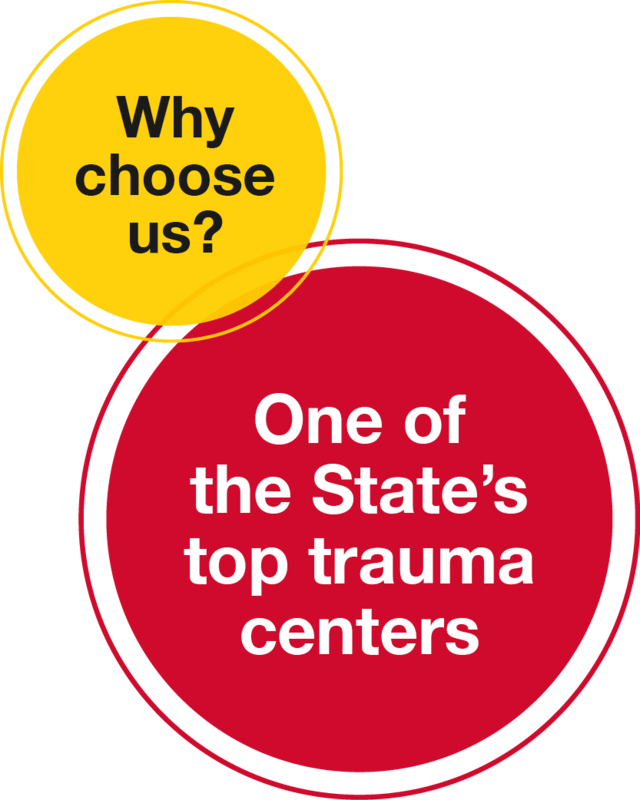 As one of the leading trauma centers in Maryland, you can depend on our expertise. We even offer post-traumatic injury recovery with community programs and support groups to give patients greater care. Our robust program provides acute and post-traumatic care for children and adults ages 14 and older. The trauma and surgery teams at University of Maryland Capital Region Health offer minimally invasive radiological procedures to stop internal bleeding. This service is essential in critical care and trauma cases where bleeding may occur in the brain or other internal areas after a traumatic accident or stroke. Interventional radiologists are always available to perform these highly skilled procedures, which are not available at every trauma center. Our team is often the first point of contact for many members of our community. At UM Capital, we are committed to providing compassionate and innovative care to all people.